VoIP provider Vonage faces a mammoth problem after a US District Judge barred it from using a fundamental internet telephony technology. The action, brought by Verizon, is over VoIP technology used by Vonage to power its service. Judge Claude Hilton has said the injunction could be implemented in two weeks, depending on whether or not Vonage is able to appeal against other patent-rulings in this far-reaching case. Verizon has argued that it would suffer damage if its patented technology continued to be used by Vonage. All the arguments Vonage weighed against Verizon were dismissed, including the plea that such an injunction would counter the public interest. In a statement, Vonage chief executive Mike Snyder said: "Despite this obvious attempt by Verizon to cripple Vonage, the litigation will not stop Vonage from continuing to provide quality VoIP service to our millions of customers." American Technology Research analyst Albert Lin told Reuters : "I don't think it's going to kill Vonage," but Lin did say that the ruling could considerably harm the company, since it is less than a year since it publicly floated on the stock exchange. Vonage shares nosedived 26 per cent in light of the ruling. The company has confirmed it is working to redesign its service as a result of the injunction. 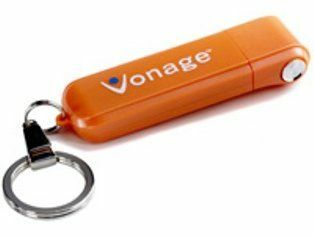 Three 8 March rulings against Vonage for Verizon patent infringements already means Vonage has to pay $58 million (£29.53 million) in damages and 5.5 per cent royalties on future sales. In an official statement released at the time, Verizon said: "We are proud of our inventors and pleased the jury stood up for the legal protections they deserve". Vonage said its customers would see no change to their service.